There are many benefits to using a harness for your cat. 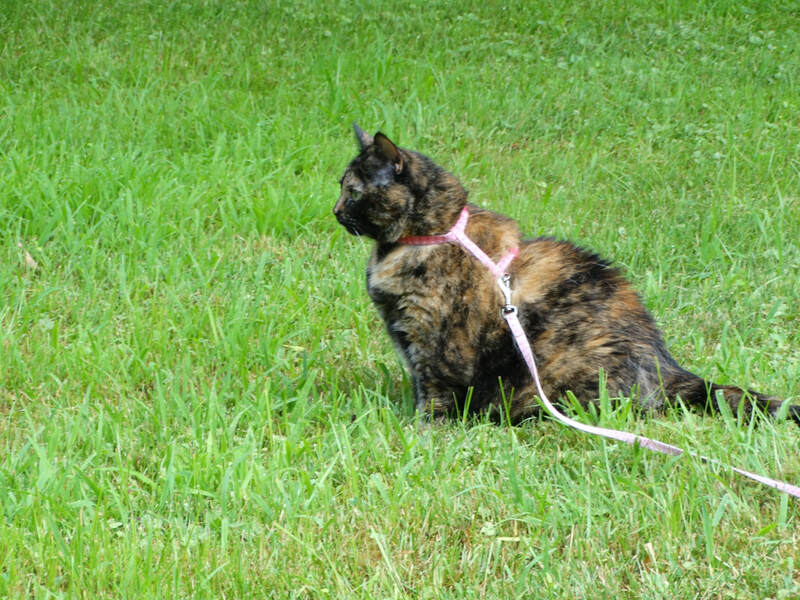 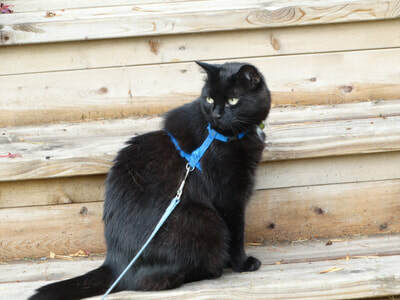 Our Director of Operations uses harnesses for her cats which allows them to enjoy the great outdoors without hunting to the degree they would or risking them not coming home. 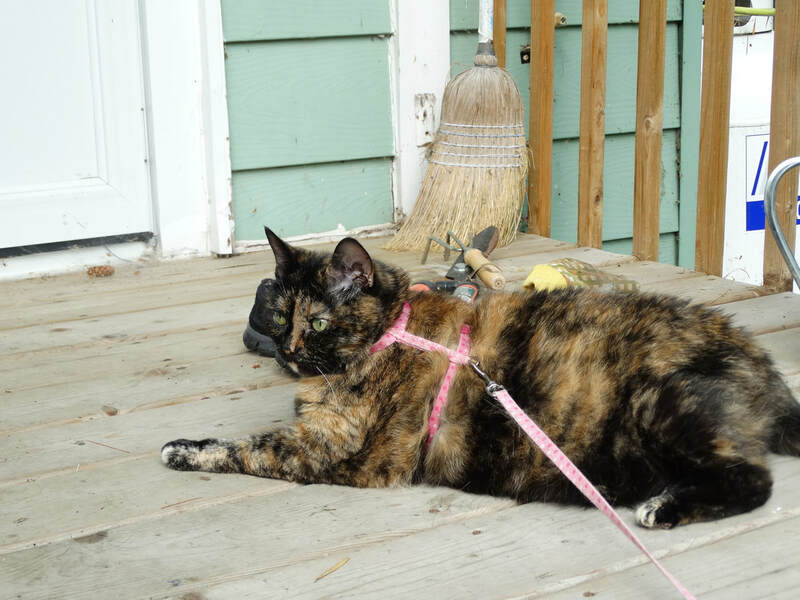 Cat harnesses can be used to let your cats enjoy being outside alone, but they can also be used as a way to bond with your cat. 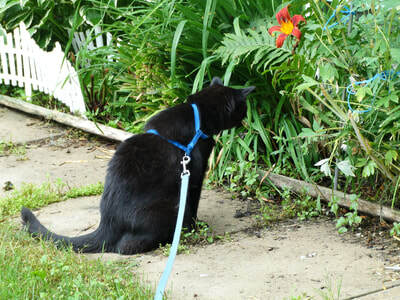 Taking your cat on a walk is a great way for them to interact with you and your environment. Remember that your cat is not a small dog, leash and harness training is going to take time. Show patience and compassion when working with your cat.